Families visiting Sydney’s iconic botanic gardens can now journey back through time and experience Australian dinosaurs and megafauna through the child-friendly, augmented reality app, Jurassic Garden. 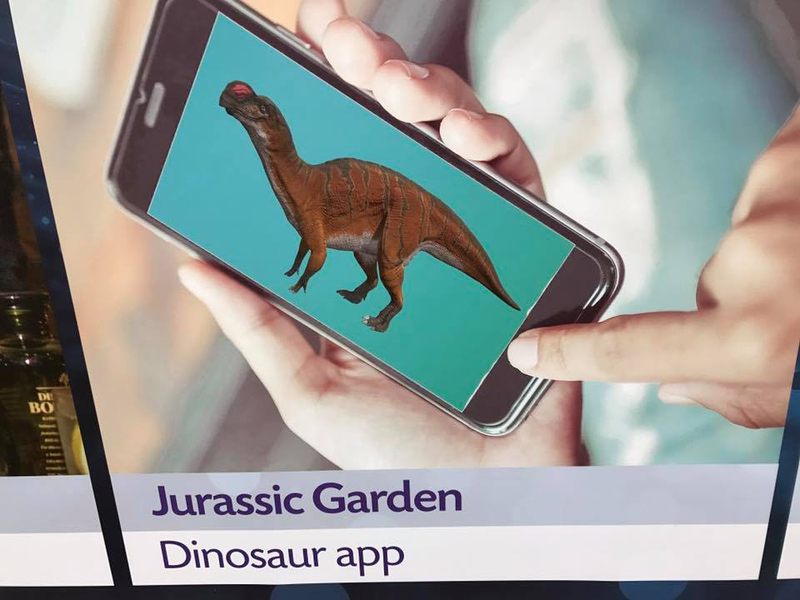 By downloading the app, users are able to take photos that include images of huge augmented reality Australian dinosaurs. The technology is now available at three sites: the Royal Botanic Garden Sydney, the Australian Botanic Garden Mount Annan and the Blue Mountains Botanic Garden Mount Tomah. The Jurassic was a geologic period and system that spanned for 56 million years, from the end of the Triassic Period 201.3 million years ago (Mya) to the beginning of the Cretaceous Period 145 Mya. The Jurassic constituted the middle period of the Mesozoic Era, also known as the Age of Reptiles. Collectible cards are also available for purchase at each sited in sets of six. This will inspire further interest from children, encouraging them to visit all three gardens to learn about the dinosaurs and their plant food sources and habitat. Dr. Bourke said that the Jurassic Garden app has been in development at the Gardens for well over a year. Now the Jurassic Garden is being rolled out as a permanent educational feature across the Botanic Gardens sites to highlight the plants that once served as a food source or habitat for these ancient creatures. Follow the signs to the Dinosaur. The Jurassic Garden App initiative received grant funds from Inspiring Australia (NSW).